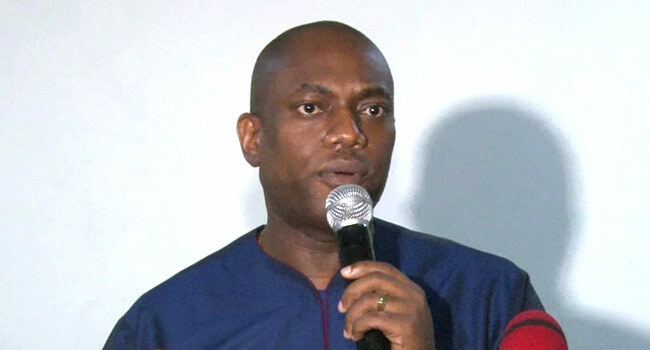 A presidential aspirant on the platform of the Alliance for New Nigeria (ANN), Mr Fela Durotoye, has called on Nigerians to come up with solutions to solve the nation’s problems. Mr Durotoye made the call on Thursday in Abuja, the nation’s capital after defeating 12 other aspirants to emerge as the consensus candidate of the Presidential Aspirants Coming Together (PACT). “We’ve spent that last part of at least a year and a half convincing Nigerians on the need to go and get involved in the process,” he said. 13 presidential aspirants across different political parties, including ANN, the All Progressives Congress (APC) and the Young Progressive Party (YPP) among others formed a coalition called PACT, with a view to choosing one candidate whom they would support in the 2019 general elections. Some of the aspirants include YPP member and former deputy governor of the Central Bank of Nigeria, Mr Kingsley Moghalu, and Mr Abubakar Alkali of the APC. Mr Durotoye was elected as the coalition’s candidate in a closed-door session under the supervision of a former Minister of Education and Convener of the Red Card Movement, Dr Oby Ezekwesili. The election followed a series of consultative meetings by the presidential aspirants on the best strategy to defeat President Muhammadu Buhari and the ruling party in 2019. After Durotoye was announced as the winner, Dr Ezekwesili commended the participants for conducting the exercise. However, 11 out of the 13 aspirants who took part in the election signed the agreement to support the ANN aspirant in the 2019 presidential election.